An experience came to us in January, 1872, which served to confirm the faith of that young [San Francisco] church in the spirit of prophecy. 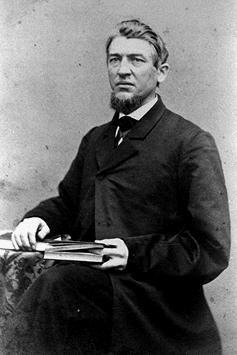 Elder Cornell persisted in an independent course which I felt would bring reproach upon himself and upon the cause. Innocent as it seemed, he conducted himself injudiciously with a lady of the congregation, showing partiality which aroused comment among the enemies of the faith. Although far from the borders of immorality, I reasoned with him that he should shun every appearance of evil. He said it was nobody's business, and that he could walk the streets with whomever he pleased. The older church members saw the evil of his waywardness and were ready to subject him to censure, but the younger ones sided with him. Thus the matter stood on Sabbath, Jan. 27, when it was decided than an investigation must be made and action taken. To all appearances a division in the church was inevitable. A meeting was appointed for 9 a.m. Sunday morning. I spent much of the night in prayer. On the morning of the 28th, as I started out for the meeting, I met my fellow-laborer on the sidewalk, near my boarding place, weeping. He said, "Brother Loughborough, I am not going to that meeting today." "Not going to the meeting?" I asked in astonishment. "Why, that meeting relates to your case!" "I know," he said, "but I am all wrong. You are right in the position you have taken in reference to me. Here is a letter of confession I have written to the church. It is better that you read it to them, and better for those who might sympathize with me if I were not there." "But what has happened to make such a great change since yesterday?" I inquired. He explained, "I went to the post office last night after the Sabbath, and received a letter from Sister White," he said handing me the letter. "Tell the church I accept it as a testimony from God, and that I repent." "I was shown, Brother Cornell, that you should be very circumspect in your deportment and in your words; you are watched by enemies. You have great weakness for a man that is as strong to move the crowd as you are. Separated from your wife as you are, suspicion and jealousy will frame falsehood if you give no occasion; but if you are careless, you will bring a reproach upon the cause of God which would not soon be wiped away. Satan is tempting you to make a foolish man of yourself. Now is your opportunity to show yourself a man, to [exhibit] the grace of God by your patience, your fortitude and courage. Be careful how you are enticed to make women your confidants, or to allow them to make you their confidant. Keep aloof from the society of women as much as you can; you will be in danger." But we must go back. This counsel came to Sister White in a vision shown her on Dec. 10, 1871, while traveling in Vermont. She began to write out the part relating to Elder Cornell on Dec. 27, but she did not complete it at that time. Early on the morning of Jan. 18, 1872, she awoke with the impression, "Write out immediately the testimony for California and get it in the very next mail. It is needed." Then the impression came a second time. She arose quickly and completed the letter. Before breakfast she handed it to her son Willie saying, "Take the letter to the post office, but do not put it in the drop. Hand it to the postmaster, and have him be sure to put it in the mail bag that goes out this morning." At that time it required nine days for overland mail between Michigan and California. Had the letter arrived a day later, there would doubtless have been a sad rupture in the church. Had it come several days earlier, the church would not so readily have seen its force. Our members in San Francisco saw at once that no person on the west coast could have communicated that information to Mrs. White in time for her to write that letter, for the state of things which had developed did not then exist. The perfect timing of the counsel confirmed the church in the Spirit of Prophecy.